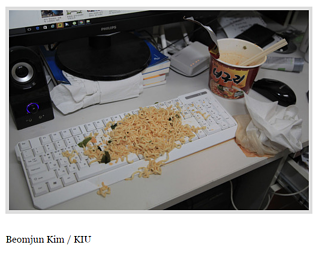 Regularly, for the past five years, students at Kyungil University (KIU) in Daegu, South Korea, and Pennsylvania College of Art & Design in Lancaster, Pennsylvania, are asked an open-ended question that students at both institutions will then answer through photographs. 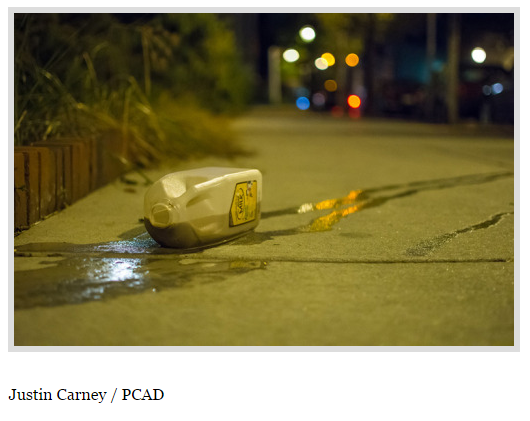 This semester, the first open question the students were to answer through their photography was "Catastrophe," suggested by sophomore photo major Michaela Robertson. See their answers at http://kiu-pcad.tumblr.com. The photographs on this blog are the result of a cultural exchange between digital imaging students studying at Kyungil University in South Korea and the Pennsylvania College of Art and Design in the United States. Inititiated by Professor Paul Choe, Kyungil University (KIU), and Professor Eric Weeks, PCA&D, the goal is for the photography students from the two cultures to learn about each other through photography, while also gaining an understanding of the communicative power of the medium. Previous prompts prompts have included "If my dinner Table Had Eyes,"" "Reality Only Exists In The Mind," "One Mind" and "Hidden Meaning." The blog was started in 2011.